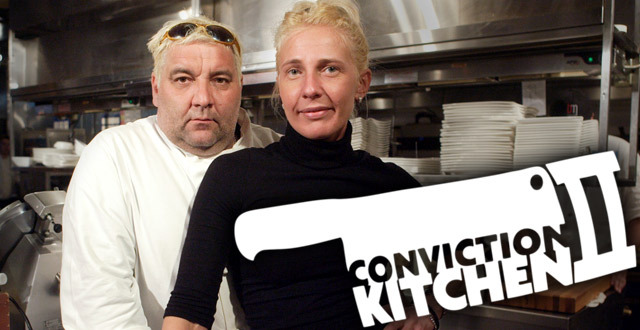 In June 2010, I was asked to appear on the show Conviction Kitchen which is based on a Chef and his wife, Marc Thuet and Biana Zorich, who staff their restaurant with ex-convicts to give them a second chance at life. This was their second season and they were filming at Delilahs Conviction in Vancouver this time around. This is a reality tv show set in a restaurant, in Delilahs Conviction in fact. I agreed to join the show as a Food Critic appearing as a Food Critic, and no one knew that I was going to be a part of the show that night other than the Producer, and Camera Crew. 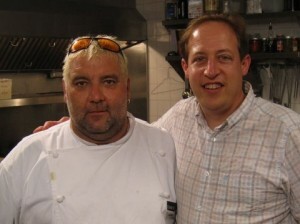 In early July I had dinner joined by a friend at Delilahs Conviction and luckily one of the top chefs in North America, Chef Marc Thuet had been guest chef here during the filming of the tv show, so we were able to savour the flavours of each dish the chef created. I have been eating at Delilah’s ever since they opened their original location on Haro, the years have passed but the food and drink has been stellar to this day. It’s my hideaway that serves delicious westcoast cuisine in comfy chairs with a bit of romanticsm ambience. Here is a link to my review of the restaurant on Vancouver Foodster. Conviction Kitchen is a production of CITY TV and this show’s mission is to help former offenders get started in a new career, and it’s great television. I had no idea how they were going to edit my appearance on the show but I was quite curious. I appeared in Episode 3 that aired on November 7th on CITY TV across Canada and was excited to see how this show unfolded from inside the restaurant where I dined to inside the kitchen that I did not have a chance to see that night. Click the above photo to watch episode 3. There is no need to create drama, because in this case, the show creates its own. The following week I was invited back for a Media tasting event to have lunch with some other select media to come taste the Conviction menu and cover the event. They also invited some of Vancouver’s top chefs who happen to be close friends with Chef Marc Thuet, and wanted to support his restaurant, and Marc and Biana’s initiative. The food was delicious and the event was enjoyable, Chef Marc Thuet came out to greet everyone after lunch and I then had an opportunity to meet him in person.